Click here to learn more about the Partnership for Resilient Communities and make a donation. The Santa Barbara Bucket Brigade (“SB3”) was formed to organize a community volunteer response to the tragic debris flow of January 9, 2018, which devastated the community of Montecito in Santa Barbara County, CA. The disaster caused 23 fatalities and over 150 injuries. More than 100 homes were destroyed and an additional 300 homes were damaged. Since the disaster, SB3 has led over 3,000 volunteers into the community to help those directly affected by the debris flow – digging mud and debris out of homes, helping families find lost belongings, cleaning up public open spaces, helping to restore local trails and rescuing endangered oak trees. Click here to learn more about the SB Bucket Brigade and make a donation. At Riskin Partners we feel a fundamental responsibility to give back to our community and foster productive growth by supporting our friends and neighbors. Riskin Partners regularly donates financial resources to Montecito and Santa Barbara’s local schools. Additionally, Riskin Partners contributes to the Village Properties Teacher’s Fund campaign. Click here to learn more about the Village Properties Teacher’s Fund and make a donation. In 1902, the Graham family built a lavish Italianate villa on the property and named their estate Bellosguardo, or "beautiful lookout." Today, Bellosguardo stands as Huguette left it so many years ago, a monument, perfectly maintained and protected, to the mother she loved. It has endured the tests of time, the house and grounds locked in pristine isolation. Now, Huguette has bequeathed the property to the Bellosguardo Foundation, which is committed to both honoring the Clarks' past, and building a future where the estate can be enjoyed by all as a focal point for the arts. Realizing that future will take time and commitment, but the fruits of that labor will be well worth the effort. The support is vital to the restoration and revival of this historic mansion and its grounds. Click here to learn more about Bellosguardo Foundation and make a donation. Riskin Partners also contributes to a global platform very near to the hearts of our partners. 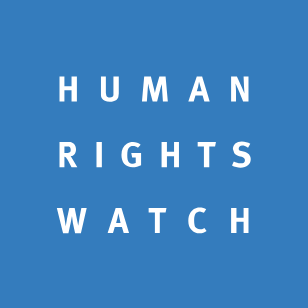 Human Rights Watch is one of the world’s leading independent organizations dedicated to defending and protecting human rights, working to ensure the voices of vulnerable people are heard on the world stage. Partners Dina, Sarah, Robert, and Jasmine have long supported the Human Rights Watch foundation, making annual donations on behalf of our clients. Click here to learn more about the HRW and make a donation that will have a positive impact on the lives of many around the world.